Jack Ryan Review Part 1. 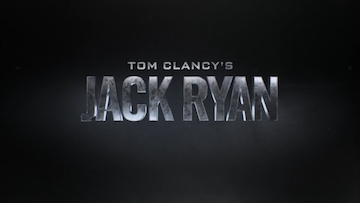 Last friday Amazon Prime Video released the full season of Jack Ryan – the latest interpretation of Tom Clancy’s C.I.A hero. For a few months now I had been excited to give this a try, it looked right up my street. Gun’s, Action, Spy Stuff, Drama and even the trailer had me hooked by the use of the song Human by Rag n Bone Man. Which is a song I’ve been loving recently. So yesterday lunchtime at work I decided to start. I’d held off starting this as I was finishing Last Chance U on Netflix (which is brilliant if you get a chance). So with that over I was ready to start this one. The first episode titled ‘Pilot’ was just over an hour-long but it set the story and show up in superb fashion. Introducing Jack, a low-level analyst in the financial team of the C.I.A. – in the first few scenes with Jack we learn so much about him, finding out he was in the Army, he had back problems, he rows and he has a vast general knowledge which is shown as he answers quiz show questions while eating his dinner. He is set up perfectly. We watch as he investigates money transactions in Yemen and comes across a potential threat who is assumed to big the next Bin Laden. After much deliberation Jack and his boss Greer end up at an Army Black Site in Yeman interrogating a money man and his bodyguard who have links to the mysterious account. I hope this first part has gripped up, because I don’t really want to continue plotting the show out. As it stands we are roughly 3/4’s of the way into the pilot now. But so much more happens throughout the episode that just keeps up gripped and on the edge of your seat. I did three episodes last night and intend on doing another few today. (Heck by the time you read this I could be up to episode 5 or 6). The layers of the story are immensely inviting and intriguing – opening you up to almost like and side with each character, while also being left with a strange untrusting feeling as you ponder what their next move is. 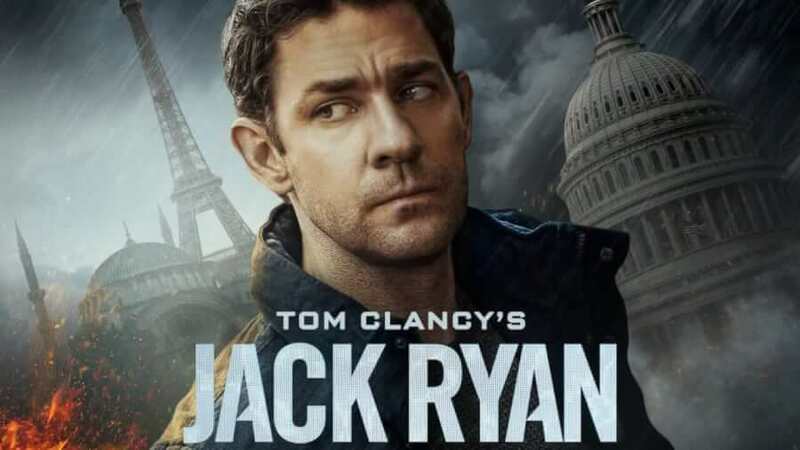 I can’t sneaky off and wrap this up without mention John Krasinski who plays Jack Ryan. We know John from the American Office as the goofy, geeky, loveable Jim. Then POW he got shreaded for “13 Hours: The Secret Soldiers of Benghazi”, then he went and made “A Quiet Place” which were both amazing pieces of work and now he is here. This man’s talent is ever growing and any excuse to showcase a new skill and he is jumping at the chance which I love. Good job John. Even the feel and look of the show is beautiful, even when it’s not working with the fantastic action scenes, fire and gunshots – we also get stunning scenic shots, aerial panoramic shots and cityscapes which just add icing and a cherry to the top of the well made, well enjoyed and very tasty cake. So go, watch, let me finish watching and once we are both done I will do another review which will be bigger and spoiler filled. This will be fun. Enjoy it, it’s a must. Please note I am not being paid for this, AMAZON have not asked me to promote their show or service. I am just a fan sharing and caring. ← Where Have I Been.